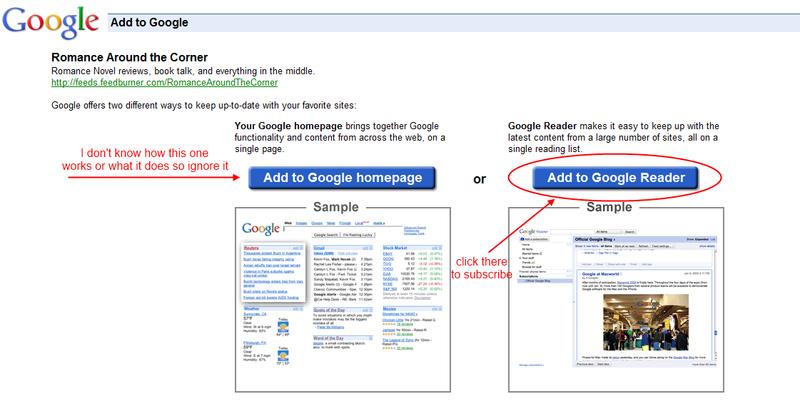 Once you’re there just click on the “Add To Google Reader” option and that’s it! go to the sidebar to see the real widget. I don’t recommend this one just because I think it's annoying to constantly get emails from blogs, especially if you subscribe to a lot of them. Currently we have about 38 email subscribers, which BTW made my day and surprised the heck out of me. If you are one of those (thank you!) let me know if you would rather a weekly email instead of a daily one, I can change it if you all feel that it will make it less annoying. Then there is Twitter, which is the only social media I really use and the one I enjoy the most, you can follow directly through here. We also have a Facebook page, which you can “like” here, and get links to every new post. That’s it! I won’t get a Google+ account for the blog, I have a personal one and I’m not even sure how it works. To be honest I’m not a fan of social media and the only one I truly like is Twitter. You don’t need to do any of these things, though. I’m happy with comments and daily page views, and I’m also thrilled and honored by all the support you have shown us so far, it’s been incredible and I thank you for that (I still can't believe we have 400+ followers!). 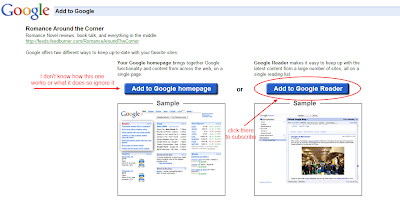 But if you are worried about keeping track of your favorite blogs now that most of them will lose the GFC widget, then I hope this post will give you some options and help you with the transition (and maybe it will make me a little less panicky). Note: I blatantly ripped Jess’ idea to write this post (she’s behind the wonderful Gone With the Words), her post is much better than mine so you should check it out! You're on my blogroll so I'll never lose you! Lovely post...very clear directions on how to follow if the GFC ever goes down. Thank you Jade! I keep track of my fav blogs through my links page, so I just go there and start my daily visits, but not everyone has a blog or good memory so it’s good to know that there are different ways to follow your favorite blogs. Thanks Brie for the info. My blog is on Blogger but I wonder if it will drop off soon there too. So basically that little Follower collage thing is what is going away? What happens if people are signed up using that? Are they just magically dropped? Of course! You can copy the whole post if you want, I don’t mind, especially since I copied from another blog (see the end of the post for a link to the original post). As far as I know since we are on Blogger we won’t be affected, if someone follows us through the GFC widget they will keep on getting our updates as usual, but if you follow a Wordpress blog through the widget then you won’t get its feed anymore because GFC won’t support Wordpress or any other non-Blogger blog. I think GFC works quite similar to the feed, I know that when I log into my Blogger account or my Google account I see a list of all the blogs I follow, I’m not sure if what I’m seeing is Google reader or what, because as I said I don’t use any reader and I just keep track of my fav blogs by memory or through my Links page. But I do know that come May I won’t be seeing any non-blogger blog’s updates on my list, to see them I will have to subscribe via RSS feed. I'm hoping that Google is super nice and migrates our "friends" to a rss feed for us. But I'm not keeping my hope high. Great post! I'm on WordPress but I've gotten over the worry by now. The thing bugging me is all the feeds being cut through GFC when it's removed, but I guess it can't be helped. Since following through feed is basically what good GFC did (except being a number), I think it'll be alright! We did get a warning. I agree with you, the feeds issue is the most annoying part of all this mess, but also the followers. It’s just a number and the majority of them don’t even read the blog, but getting that number took a lot of time and hard work (remember all that shameless self-promo over at the .ning community? Good times!). I guess some publishers do take notice of the number of followers but I think the blog’s content should speak by itself regardless of how many followers you have. I don’t get Google+ and I just don’t have the time nor the inclination to learn how to use it so I’ll just pass and try to redirect the followers to Twitter since is the social media I enjoy the most. I also like Networked blogs because automatically updates all the new posts and I don’t have to do anything.